Todd D Knapp, CPA P.C. With over fifteen years experience with tax debt resolutions representing clients across the United States before IRS and State Tax agencies, complex tax regulations, combined with the Internal Revenue Service's more aggressive enforcement policies, make it vital to properly plan for and manage IRS tax debts and IRS examinations. Applying effective dispute resolution procedures is critical to staying in front of your IRS dispute at the earliest point reducing administrative costs and compounding penalties and interest. We offer a full range of tax resolution services related to your IRS issues including, delinquent and unfiled tax returns, IRS service center matters, and audit representation. Can I settle my tax debt for pennies on the dollar? What else should I know before I file an Offer in Compromise? Can I file an Offer in Compromise myself? What is a frivolous offer? Can I stop a bank levy? Can I pay less than what I owe? Can I prevent or remove a tax lien? Can I reduce penalties and interest added to the principle tax debt? Do I have to give up my assets to the IRS? If I already have an Installment Agreement, can I change the terms and get my payment lowered? Can I pay the IRS an amount I can afford on past due taxes? How can I get the IRS off my back? Can I request additional time to pay my taxes? How much do I have to pay the IRS? Is it possible to reduce or remove tax penalties and interest? Undergoing an IRS Audit? How did that happen? Does the IRS perform different types of audits? I am being audited, now what? Should I represent myself in an IRS audit? What is Currently Non-Collectible Status? How long can you be in CNC Status? What is the level of your education? How much have you made in past years? Can you withstand a financial investigation by the IRS? Are you married? What is the education/age/profession/health of your spouse? If an OIC is obtainable, can you pay it? The IRS looks at all this criteria to determine your future earning potential and worth. They then compare this number to the remaining years they have to collect on your tax debt, which is usually 10 years from the date the debt was assessed. If they see that they can get the full amount from you, they will not accept an Offer in Compromise. Additionally, if they do accept an Offer, (other than in very limited conditions) they require a lump sum payment up front—you cannot make payments on an offered amount. If the IRS can foresee you not being able to pay a large lump sum up front, they will also reject an Offer in Compromise. Taxpayers should beware of certain promoters’ claims that tax debts can be settled for “pennies on the dollar” through the OIC program. Anyone who provides a “predetermined” conclusion about your personal finances and your tax debt is advertising fraudulently. It is easy to merely submit an offer package for someone; anyone can promise that. The success of an offer in compromise is highly dependent on each individual situation. The OIC program is a highly technical and detailed financial analysis that cannot be “predetermined” based on a few facts. The ultimate goal of an OIC is a compromise in the best interest of both the taxpayer and the IRS. Acceptance of an adequate offer by the IRS will also result in creating for the taxpayer an expectation of full compliance with all future filings and payment requirements. What is an Offer in Compromise? Many taxpayers who find themselves with an overwhelming tax liability look for a quick fix to reduce IRS debt through an IRS tax settlement. What most are referring to is the Offer in Compromise, or “OIC”. Often incorrectly and deceptively discussed as settling for “pennies on the dollar”, the science of an offer in compromise is actually quite complicated and the art is in knowing what is allowed, the rules the IRS has to abide by, and what items are subject to negotiation and representation. An “offer” is just what it implies – an offer. An offer in compromise is an agreement between a taxpayer and the IRS that resolves liabilities by accepting less than full payment under certain circumstances. The offer in compromise may be considered only after all other payment options have been exhausted. Doubt as to liability—there is doubt that the assessed tax is correct. Doubt as to collectibility—doubt exists that you could ever pay the full amount of tax owed within the statute expiration dates. Effective Tax Administration—there is no doubt the tax is correct, and no doubt that the amount owed could be collected, but an exceptional circumstance exists that would create a hardship if the debt is paid as such. Assets - the amount collectible from your net realizable equity in assets. Future Income - the amount collectible from your expected future income after allowing for payment of necessary living expenses. Amounts Collectible from Third Parties - amounts that can be collected from third parties through administrative or judicial action, i.e. amounts collectible through the assertion of a Civil Trust Fund Penalty, a transferee assessment, nominee lien, etc. Assets and/or Income that are Available to the Taxpayer but are Beyond the Reach of the Federal Government -These are assets that the lien will not attach to, such as equity in assets located offshore and out of the country such as foreign bank accounts, real estate holdings and investments in foreign corporations. The IRS also has other criteria they consider: age, health, marital status, number and age of dependents, education level, occupation and work experience. Only about 25% of the offers received are actually accepted by the IRS. While this number seems high, it is rather misleading. This is because the number of offers received has actually decreased over the last 6 years due to a tougher screening process and requirement of nonrefundable payments that must accompany the offer when it is submitted. So while a higher percentage of offers are being accepted, there are fewer offers that are actually being received and reviewed. $150 Application Fee and 20% down payment required at the time of the OIC submission. Your OIC will be public record for one year; this includes being reported on your credit report for a period of seven years. You must file and pay all taxes for the next 5 years. Filing an OIC extends the time the IRS has to collect from you. The IRS can take up to 2 years to complete an OIC investigation, and penalties and interest continue to accumulate during this time. The IRS takes any tax refunds you may be expecting for the calendar year the IRS accepts the OIC. You are required to provide full financial disclosure to the IRS of your finances and tax returns, which may trigger an audit or other investigations. Defaulting on an OIC will reinstate all penalties and interest. It’s not always the best option. Other approaches, like installment agreements, may actually save you more money in the long run. Can I File an Offer in Compromise myself? Because of the complexity of the OIC tax settlement process, we do not advise taxpayers prepare an OIC and negotiate with the IRS. What is a frivolous offer? The IRS defines a frivolous offer as one without merit or one that is submitted in order to delay the collection process. 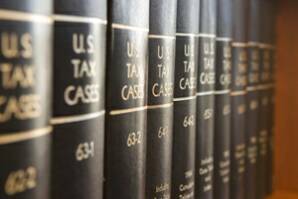 Multiple OICs filed with the same information or submissions for tax liability that can obviously be full-paid by the tax debtor are also considered frivolous. You need to be careful and think seriously before completing any OIC package, as the IRS takes frivolous offers very seriously. Submitting the same “offer” or trying to get a “deal” on your tax liability while you can full pay may make you a target for IRS criminal sanctions—especially for those who try to hide assets and income. You should do your financial analysis prior to the OIC submission and be prepared to explain every asset, liability, income, and expense item for the past, present, and future. Can I stop a bank levy? Bank levies are a one-time sweep of your bank account, although occasionally they happen more than once. Once taken, these funds are almost impossible to get back from the IRS. The only way to prevent additional bank levies is to become fully compliant (fully filed for the last 6 years) and prove you do not owe the tax or have paid the tax in full. If the IRS shows you still owe them, then they can legally continue to take funds from your bank account to pay your tax liability. Can I pay less than what I owe? Paying less than what you owe depends on your specific situation. Anyone who states that they can get you into an agreement to pay less than the full amount, without carefully considering all of your facts, is deceiving you. 2. Your ability to pay the tax, based on your monthly disposable income and your net equity in all of your assets. It’s possible to pay less than what you owe, but without analyzing your unique set of circumstances, no one can say for sure. Can I prevent or remove a tax lien? The IRS is a priority creditor and as such, they file a tax lien on your assets to protect their interests. Basically, they’re making sure that if you liquidate assets, such as your home, after the mortgage is satisfied any remaining proceeds go into their pockets before they go into yours or anyone else’s. The IRS removes a lien only when the tax debt is paid in full or abated in full. In rare circumstances, liens can be removed if it can be proven that it is inhibiting your ability to generate income. Can I reduce penalties and interest added to the principle tax debt? Many times, a reduction in tax will reduce your tax penalties and interest, since the most common penalties stem from a failure to file or failure to pay taxes. Interest abatement is even more uncommon and does not take place unless the IRS has made an error on your tax liability assessed, which you must be able to show in writing from the IRS. Do I have to give up my assets to the IRS? Most likely, yes. The IRS will first look to your assets for payment of your tax liability. However, as long as you work to get into compliance and enter a formal agreement with the IRS, the IRS will not normally seize additional assets. And, if you are unable to pay with documented evidence that you cannot liquidate assets, other solutions can be explored based on your specific facts and circumstances. Can you afford to make the current installment agreement payments? Why did you agree to the Installment Agreement? Are you prioritizing other creditors over the IRS tax debt? How you answer these questions will determine whether or not the IRS will renegotiate a payment arrangement. Can I pay the IRS an amount I can afford on past due taxes? The IRS will first look to your assets for payment of your liability. If you provide documented evidence that you cannot pay by liquidating assets, other solutions can be explored based on your specific facts and circumstances. “Afford” is a relative term. Ultimately, the amount you can pay depends on your ability to pay based on IRS standards, not on what you feel you can pay. These standards include allowable expenses for your area and the number of people you support in your home. How can I get the IRS off my back? The only way to get the IRS off your back is to become compliant (fully filed for the last 6 years) and to get into a payment agreement with the IRS. The terms of your agreement will depend on your unique situation. Are you currently in a stay on collections that is about to expire or have you ever requested a stay before? Are you compliant with all your tax returns? The IRS will give you a total of 120 days of extension to use throughout the collection process. If you contact the IRS prior to the L1058, you can request 120 days to full pay. If you have received the L1058, then you can only request 60 days of extension to full pay. Stay on collections can also be granted to file returns, but the extension will be shorter and does not stop current collection enforcement. Additionally, a stay on collections will not extend the time for filing a federal tax lien. How much do I have to pay the IRS? For taxpayers that owe significant amounts, how much you have to pay is based on your “ability to pay.” Ability to pay is based on “allowable expenses” (which are set by the IRS) versus your actual expenses. There are many factors that must be discovered to determine your ability to pay. If you owe a lot of tax, the IRS will put you through a very comprehensive financial investigation of your assets, liabilities, income and expenses- past, present and future- to determine your ability to pay. There are also many types of payment agreements. Determination of the amount that you have to pay will be decided after going through this complete financial investigation. For taxpayers that owe little to moderate tax, the amount you have to pay may be based upon the amount you owe (basically, a "no documentation required" Installment Agreement), rather than your ability to pay. Of course, this is only true as long as you can afford the IRS's minimum allowable payment for your liability. Otherwise, you will be required to undergo the full financial investigation and prove a lower ability to pay in order to obtain an agreement you can afford. You need to be aware that the IRS changes their policy on whether or not they require taxpayers to liquidate assets prior to allowing the "no documentation required" Installment Agreement. This is one of several important reasons that it may be in your best interest to obtain our representation to negotiate the payment agreement most suitable for your circumstances. Penalties are added to your tax debt in addition to interest due. Although interest cannot be removed unless there is written IRS error, there are programs to assist in reducing or removing penalties from your tax debt, the most abatable being penalties due to Failure to File and Failure to Deposit (Employment Taxes). 1. Can you fully pay off your tax debt? 2. Do you have reasonable cause or good faith argument that is documented? 3. Is this an isolated incident? 4. Did you self-comply or were you forced to comply? Ignorance or forgetting to file or pay is not sufficient for reasonable cause. Your penalty abatement request must show significant circumstances that prevented you from properly handling the situation that brought about the penalties. However, know that even if sufficient reasonable cause for IRS penalty abatement it submitted, the IRS will usually reject it on the first submission. For this reason, you should pay close attention to your appeals timeline on any penalty abatement letter from the IRS. Undergoing an IRS Audit? How did that happen? If the changes to your income do not exceed 25% of the total, the IRS has three years to audit if the return was filed on time. This span is increased to six years for changes greater than 25% to income surface. In cases where they deem your return fraudulent, there is no expiration for an audit. The correspondence audit is by letter, which can be a CP2000, substitute returns letter, or late filing. The IRS audit letter proposes changes, to which the tax payer can respond by either refuting or accepting them. The office audit is assigned to a tax examiner. This person will review bank deposits, income and proof of deductions. A tax payer will be notified of the proposed changes. Field audits are the most serious, involving an IRS revenue agent visiting the tax payer or business and conducting an investigation. The goal of these audits is often a fraud referral. What the field agent will explore is much more extensive than the prior two audit types. I am being audited, now what? Once the IRS has started the audit, you have a few options. If you lack the documentation to refute the changes they’ve proposed, you can simply let the audit happen and begin negotiations after the balance is assessed. If, on the otherhand, you feel the audit is unjustified or that you can prove the validity of the original information now being questioned, you can contact your auditor. It is always wise to obtain experienced representation, as details presented in the wrong way can be harmful. If no resolution can be met with the auditor, the taxpayer can either bring it up with the auditor’s supervisor or contact the Taxpayer Advocate’s Office of the IRS. The IRS must make you aware you are being audited. Any banks, neighbors, friends, family, or coworkers contacted during exam must be disclosed. You have the right to see this list. For any financial info they ask for, you have the right to know the purpose and how it will be used. This data must also be kept discrete and dealt with professionally. If you do not feel your audit was handled professionally, you can contact the office’s supervisor or the District Director. You also have the right to representation under audit. This person can speak on your behalf and appear in your place. You can challenge the audit if they’ve questioned the same items before within the last two years’ returns. The former audit must not have resulted in changes to your tax bill. If you can show this is the case, you may avoid the audit entirely. Should I represent myself in an IRS audit? Tax audits are a particularly complicated undertaking, especially if you have a required face-to-face meeting with an IRS agent. Representing yourself is always an option, but the IRS will take full advantage of your ignorance concerning their policies and rules. It bears pointing out that statistics show the majority of the time tax payers leave audits owing substantially more to the IRS. In fact, the only successful IRS audit (in their eyes) is one that creates a higher tax assessment. To put yourself in the best position possible, do your homework. Correspondence and Office Audits are simpler, but they often lead to further, deeper, and more serious investigations like Field Audits. When it comes to an audit, you should consider retaining us for IRS representation. There is a lot more at stake in these cases, particularly with personal assets, so knowledge and careful negotiation are very important. What is an Installment Agreement? Whether you call it an installment agreement, federal tax payment agreement, payment option or an IRS payment plan, the idea is the same—you make payments on the tax you owe. That sounds like a good deal, but you can save money by paying the full amount owed as quickly as possible, minimizing the interest and penalties you’ll be charged. For those who cannot resolve their tax debt immediately, however, an installment agreement can be a reasonable payment option. Installment agreements allow for the full or partial payment of the tax debt in smaller, more manageable amounts. To be eligible for an installment agreement, you must be current on your withholding and/or estimated tax payments, if required. There are many different types of tax payment plans, but on the whole they fall into two categories: Automatic and Negotiated. An Automatic Installment Agreement is for liabilities under $25,000. These types of agreements need little financial disclosure, which includes banking information, employment data, phone number, and date of birth. However, do not let the “automatic” verbiage confuse you. Although this is the simplest type of payment plan, the process of getting into a fair installment agreement can still be difficult. For example, sometimes the IRS will request that you utilize any equity that you have in assets. However, the payment amount is based largely on the balance amount itself so it’s important to tell the IRS only what it asks for. Divulging too much can lead to higher payment amounts than necessary. A Negotiated Installment Agreement is for those owing more than $25,000 to the IRS, or if you owe less than $25,000 and you cannot pay your tax within 5 years or the time the IRS has to collect, whichever is earlier. For such cases, the negotiated payment plan is based on your ability to pay your tax debt. Because the IRS takes your ability to pay into consideration, you will need to provide full financial documentation, including proof of all income and expenses. Negotiated Installment Agreements are a lengthy and more involved process, especially for those who attempt to negotiate for themselves. The IRS has certain allowable standards based on location and number in household, and utilizing what they will or will not accept when completing said information can change the negotiation substantially. If your expenses are well above the IRS standards the IRS may not allow them; they will see this as living above your means by not paying taxes. You may qualify for a 12 month lifestyle adjustment, which will give you time to adjust your expenses to the national standards. Even if your allowable expenses exceed your income, the IRS will expect you to liquidate any available assets to satisfy your debt before approving this CNC status. This includes retirement accounts, savings accounts, investments, properties you may own in addition to your current residence and any extra vehicles that are not necessary for transportation to your job(s). If you still have a balance due after liquidating you assets, the IRS will put you into Currently Non-Collectible. How long can you be in CNC Status? Note that this is not a permanent status, and it will be verified each year when you file your tax return. If it is determined that your income has increased to a level that you are now able to make payments, you’ll be sent a notice telling you that the IRS now intends to pursue collection of your tax liability. If you are still unable to pay, you will be sent an annual notice of what your balance due is with accumulated penalties and interest. It is important to realize that penalties and interest continue to accrue until the liability is paid off or the statute of limitations runs out (usually 10 years from date of assessment). Another important item to note is that when you are placed in CNC status the IRS will file a tax lien against all property you own. This could negatively affect your credit rating and hurt your ability to get a loan or other credit. The IRS does this to protect their interests and prevent you from selling an asset without giving them their due. Our online web-based portal offers you an alternative to e-mail for a secure transfer of your financial records. © 2011 Todd D. Knapp, CPA, P.C.. All Rights Reserved.